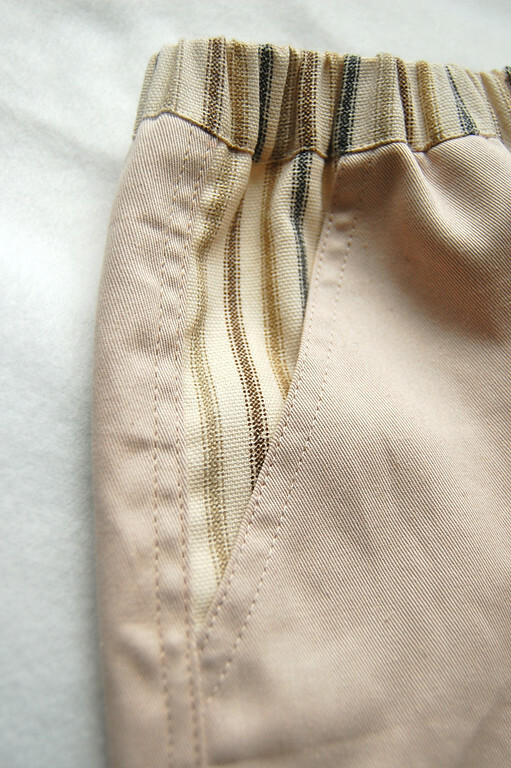 Inset pockets can be spotted on all kinds of garments, but most commonly on bottoms - jeans, skirts, trousers, bermudas. 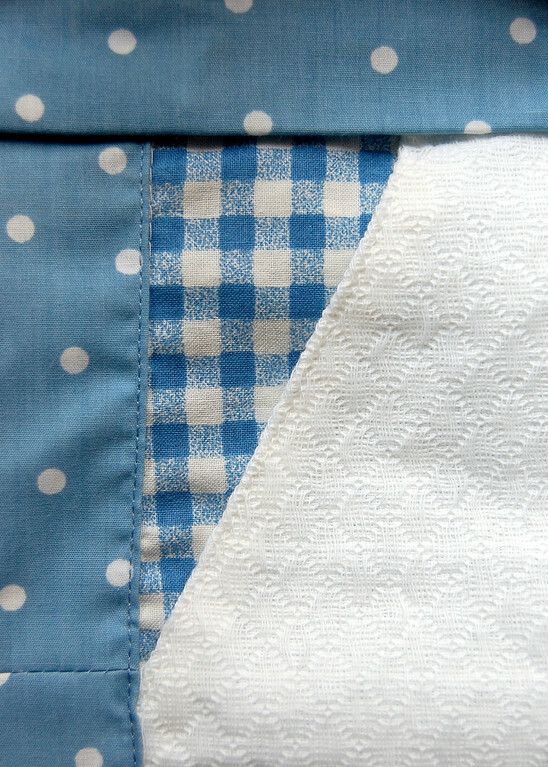 The inset pockets in this tutorial can be placed wherever two seams meet. Often this is where the waistband (seam #1) meets the side seam (seam #2) - right at that corner is where you'll find them. 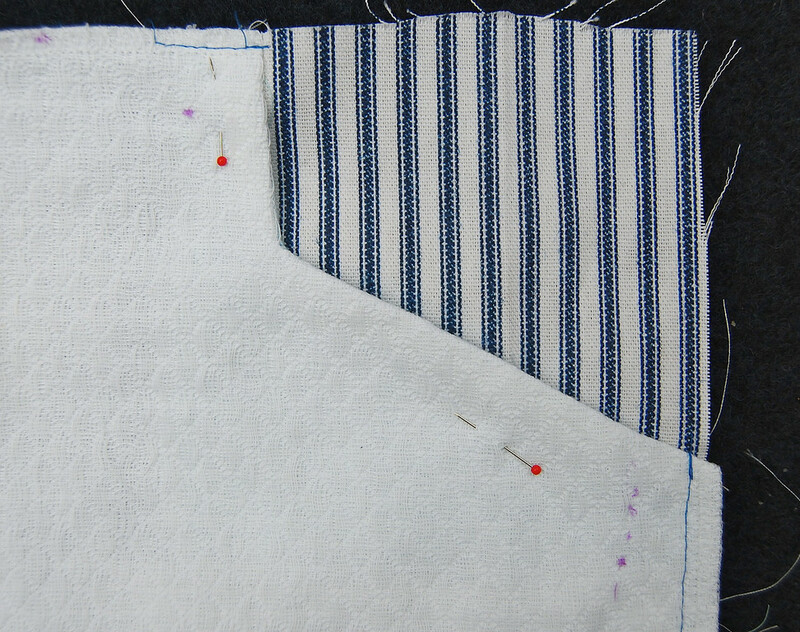 So I call them double-seam inset pockets not because they have two seams, but because they are located along two seams. 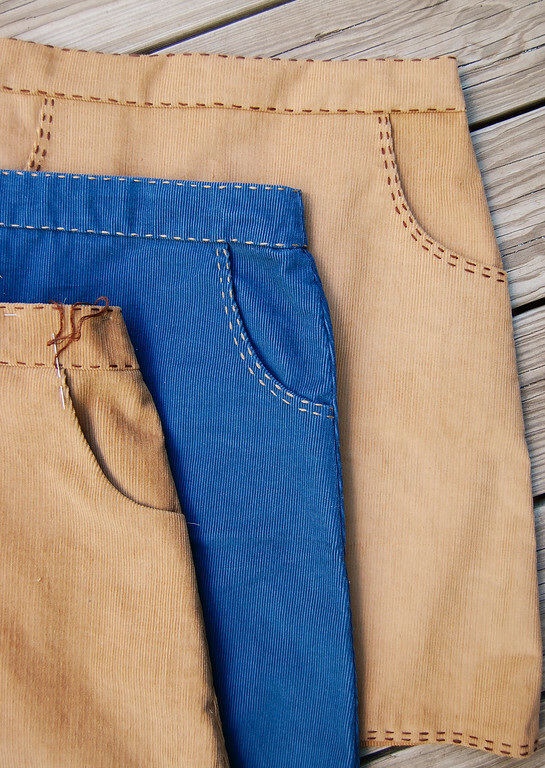 These double-seam inset pockets come in many shapes, which is possible because of the facing on the pocket openings. Some people cut out the pocket opening on the garment and the facing before assembling the pocket - this makes it easier to line edges up. 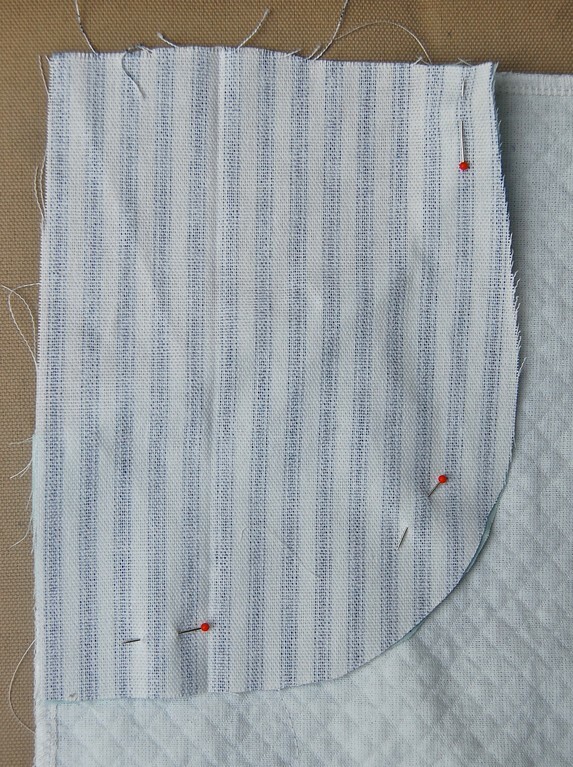 I like to attach the facing to the pocket opening before cutting it to shape - it prevents accidental stretching. 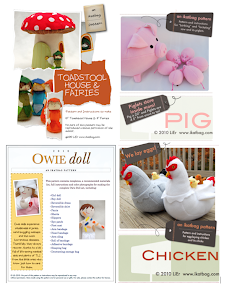 This tutorial shows how I do this, but I also linked to an earlier tutorial with the pocket opening cut out first. Again, you get to compare and pick whichever method you like. The visible lining piece, which is usually a rectangle or a rectangle with its innermost-and-bottommost corner rounded. This can be of the same fabric as the garment, or different for contrast. 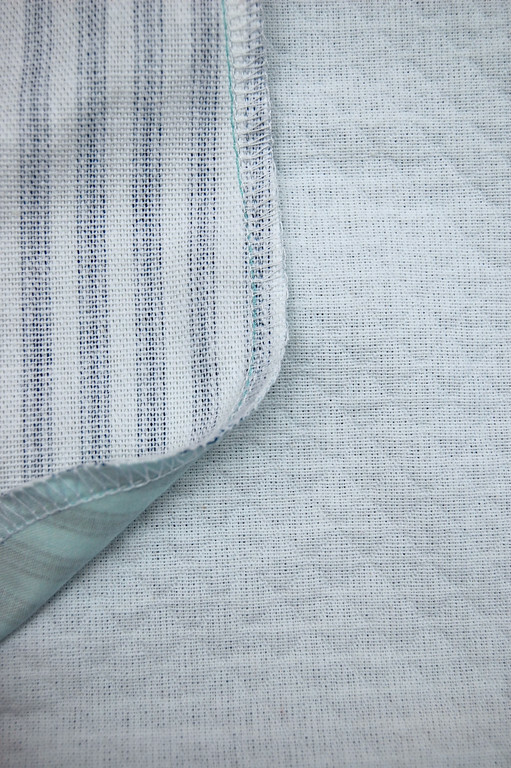 In garments made of thicker fabric, such as denim, corduroy, wool and many other trouser-apparel fabrics, part of this lining piece is replaced by thin cotton. This is to reduce bulk. 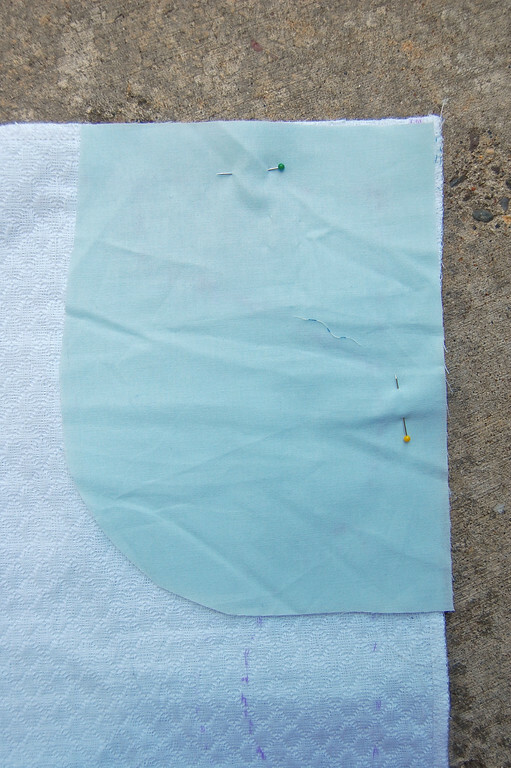 The facing piece which is the same shape and size as the lining piece. This is usually a very lightweight fabric that closely matches the main garment. I just use regular cotton. Mark out the position of the pocket on your garment. 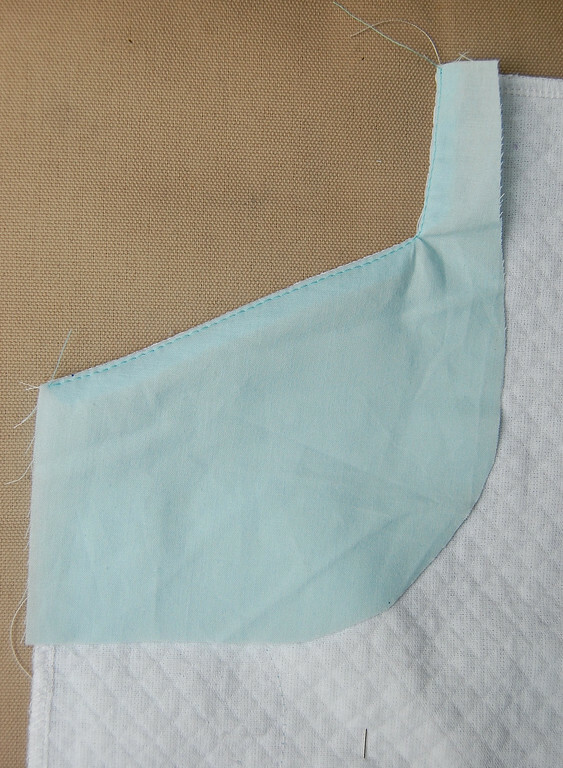 The picture shows the right side of the garment, and you will need to somehow transfer the lines of the pocket opening to the wrong side of the garment as well, on which you'll be sewing. This fabric marker bleeds through to the other side of the fabric, which is useful. Pin the facing piece onto the garment, right sides together. 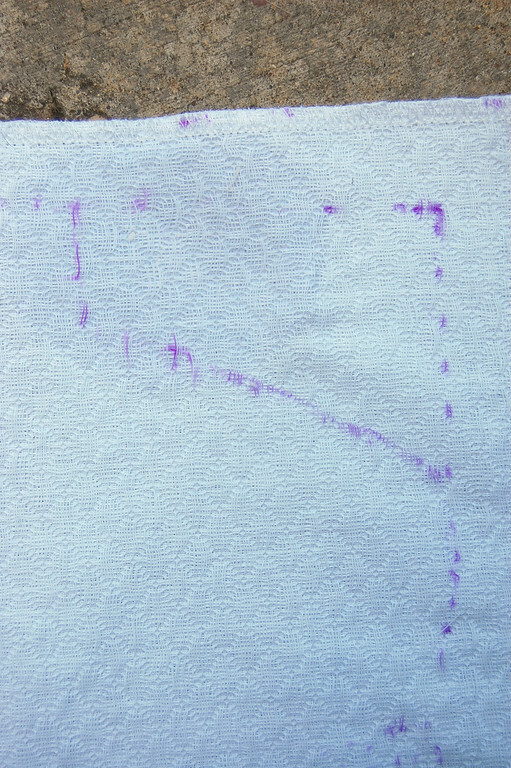 The facing will obscure the sewing lines marked on the right side of the garment, which is the reason for transferring them to the wrong side of the garment in Step 1. Flip the garment over to the wrong side, and sew along the pocket opening, securing both layers together. 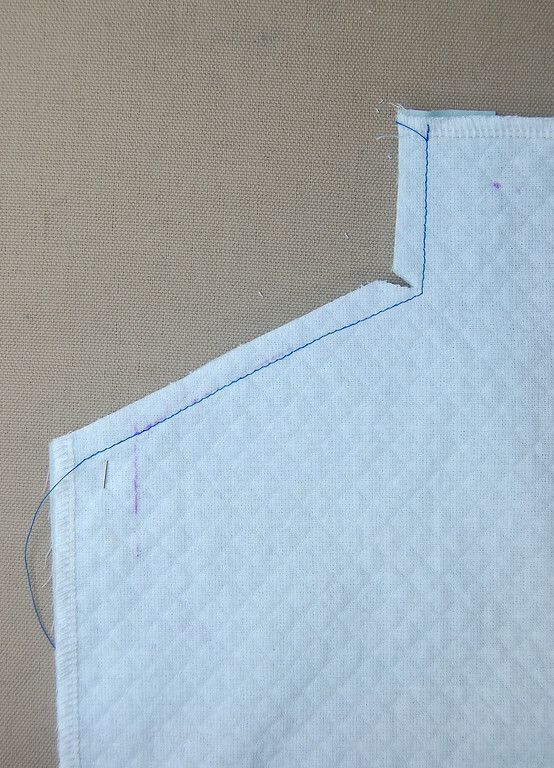 Trim the seam allowance to about 1/4" and notch wherever necessary. 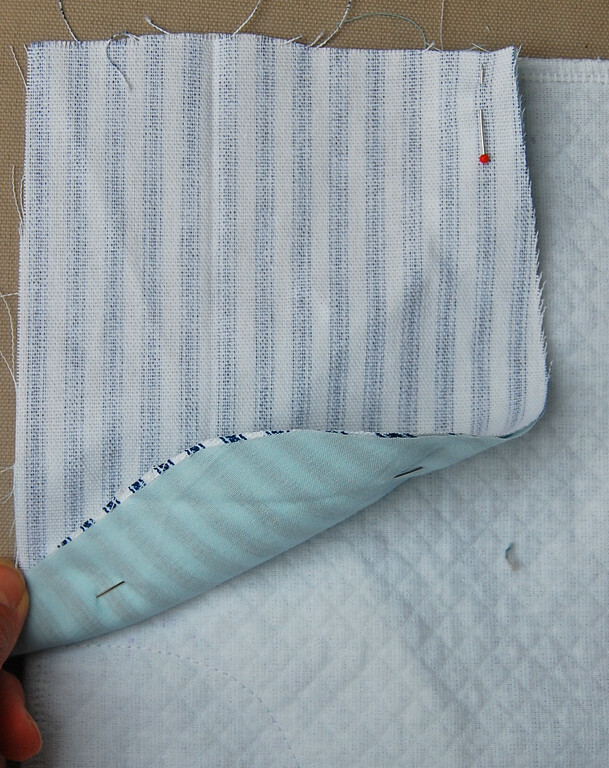 Flip the garment back to the right side, fold back the facing piece, and understitch it to the seam allowance. Fold the facing completely to the wrong side. The understitching keeps the facing from rolling over the edge and peeking out from behind the pocket opening, but is invisible from the right side of the garment. Press the fold to make it crisp. 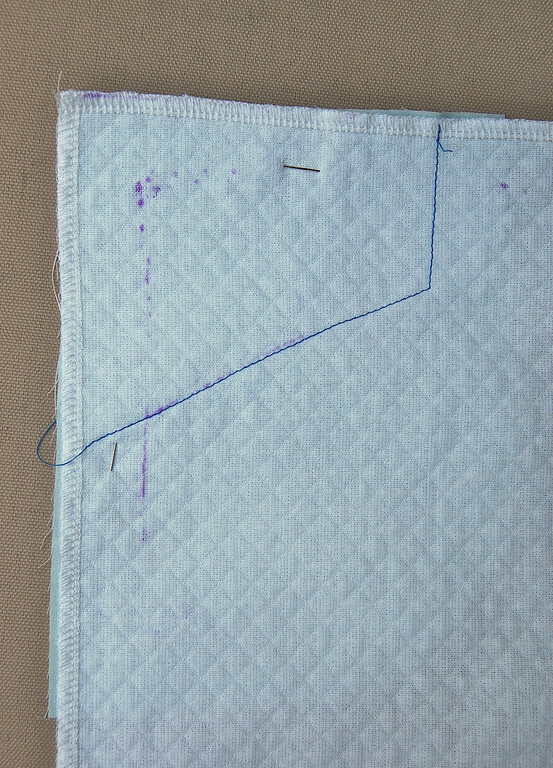 and pin the lining piece in place, so its edges line up with the facing. Note that for simplicity, this lining piece is entirely one fabric. 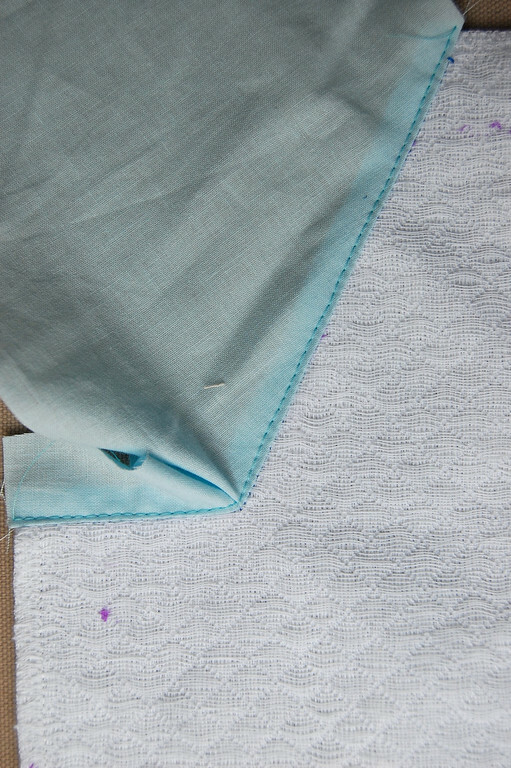 Later in this post, I liked to an earlier tutorial in which the lining is part ticking (thicker) and part cotton muslin (thinner), which is the more typical configuration in actual garments. 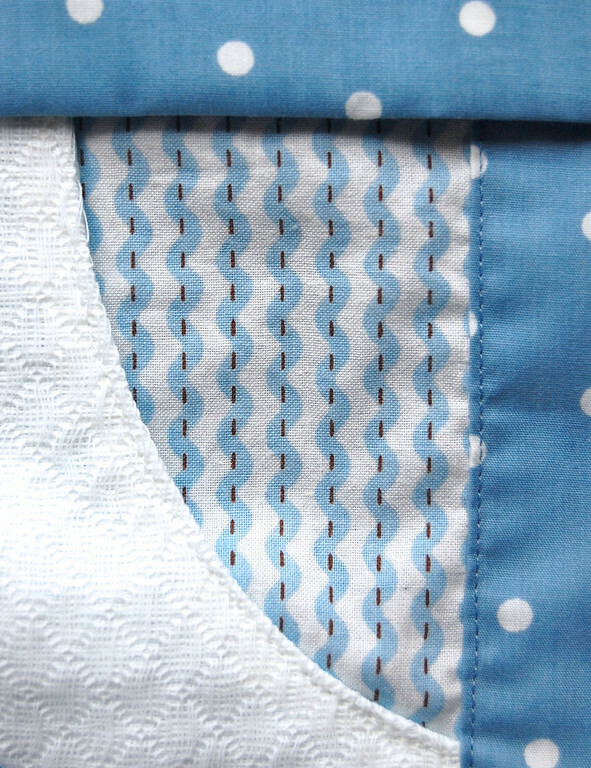 The right side of the lining should be visible through the pocket opening i.e. from the right side of the garment. The pins should be close to the edge of the lining/facing ensemble but they should not go through the main garment, because you will be folding the lining/facing ensemble back to sew just those two layers together. 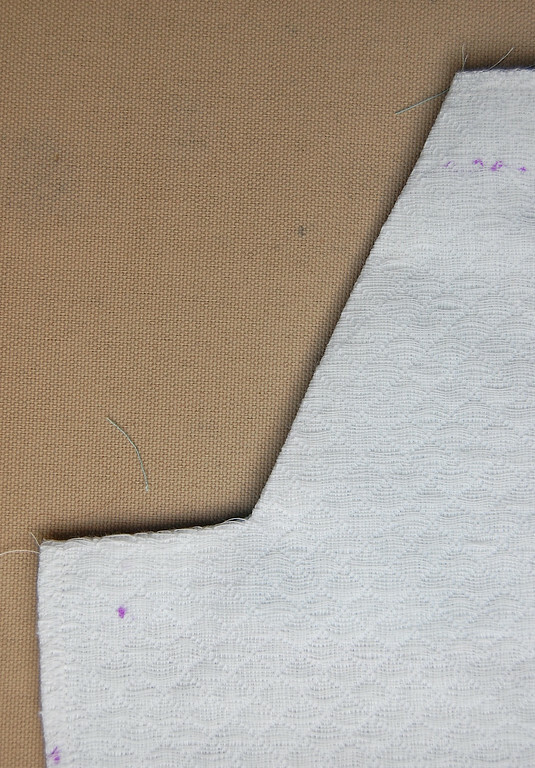 Sew together the innermost and bottommost edges of the lining and facing, and then finish/serge them. The top edge and the outer edge of the lining and facing are not attached to each other or the main garment at this stage. You will be securing them in the next step. With the pins still in place, flip to the right side of the garment, and sew close to the top and side edges to secure the lining-and-facing layers to the main garment. The pocket is finished and this garment piece is now ready to be joined to the other pieces of the garment. Here are some common variations on the shape of the pocket opening. and how it looks on an actual garment. 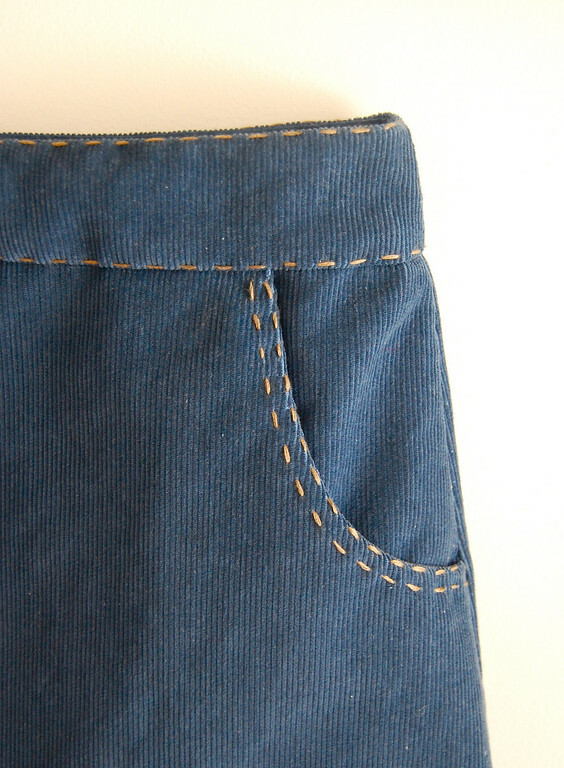 The tutorial for this slash inset pocket, along with the entire pair of pants, can be found here. These two-seam/corner pockets are the sort of inset pockets I see most often on garments. Being located where two (roughly) perpendicular seams meet means they are anchored on two edges, which keeps them smooth and flat. 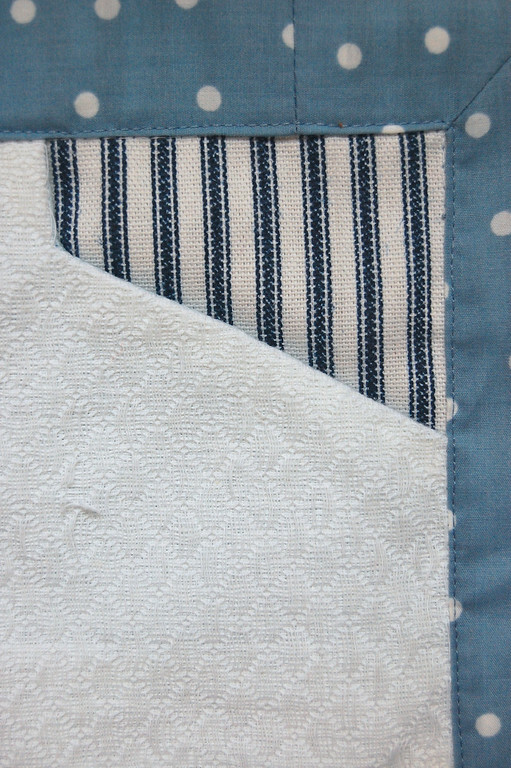 Up next is the inset pocket located along just one seam - less common and therefore novel and very pretty! Knowing how much time (!!!!) 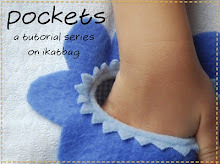 it takes to write tutorials, I can REALLY appreciate all the work you have put into this series on pockets. Thanks so much for all your hard work on this!! They are wonderful and inspire me to look at plain garments with a fresh eye. looks great and so clear. I will be referencing this next time I make a bottom garment. thanks! I'm your newest follower. This is so so helpful thank you! Thank you for posting these extremely clear directions. 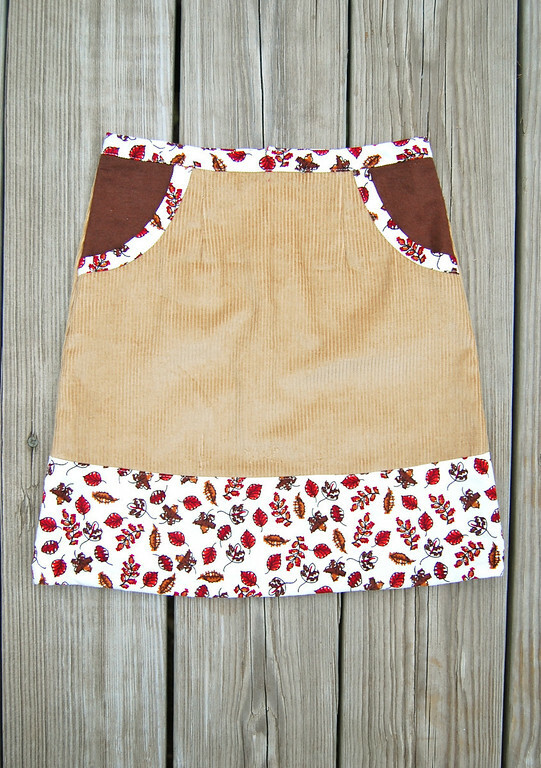 I'm finishing my second skirt using the "scoop" pocket & very pleased with both. We made this pattern from 'scratch' using an old skirt as template, without taking it apart, because I was still wearing it. So I couldn't use the pocket in the skirt as a pattern, but I'm very pleased with your instructions.